Bushwacker OE style bed rail caps offer a combination of heavy duty protection and sublime style for your Chevy or GMC truck's bed rails. These OE styled rail caps are made from a high strength Dura-Flex 2000 TPO material to give your truck the defense it needs against nicks and dents. Bushwacker has designed the pattern on these bed rail caps to mimic the pattern used by GM for the factory caps found on newer Silverado & Sierra trucks. 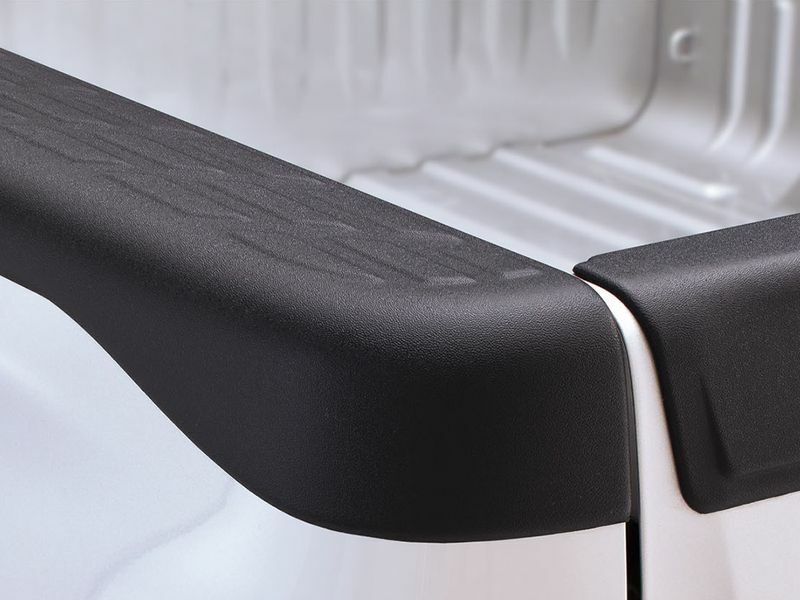 A UV stable satin black finish ensures that your new bed rail caps won't detract from your truck's looks and depending on the condition of your truck bed side rails, the looks might even be improved! Bushwacker has done their best to add style and protection to your bed rails, they even give you the option of having cut-outs for your stake pocket holes. Each pair of Bushwacker bed rail caps is custom fit to the specific make and model of your truck, so you know you'll get a great fit for your vehicle. They are easy to install with pre-applied 3M tape, so there's no drilling a bunch of holes into your truck. Once they're on, you'll wonder how you ever got by without them. You can feel good about ordering your Bushwacker OE style bed rail caps knowing that they're American made and backed by a limited lifetime warranty. Order yours today! Installation is clear cut and the instructions are very easy to follow. If you do happen to have any questions or need information on the migratory patterns of sea birds, we have customer service reps available seven days a week.